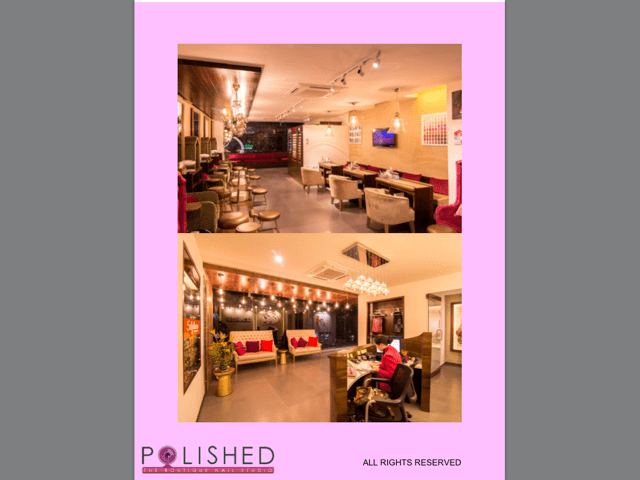 Polished The Nail Studio is located in the plush area of Indiranagar and is all set to change how Bangalore’s denizens will do their nails. Started by the young and vivacious Neela Bopiah who is the Founder of this place, you are immediately transported into another world when you enter here. 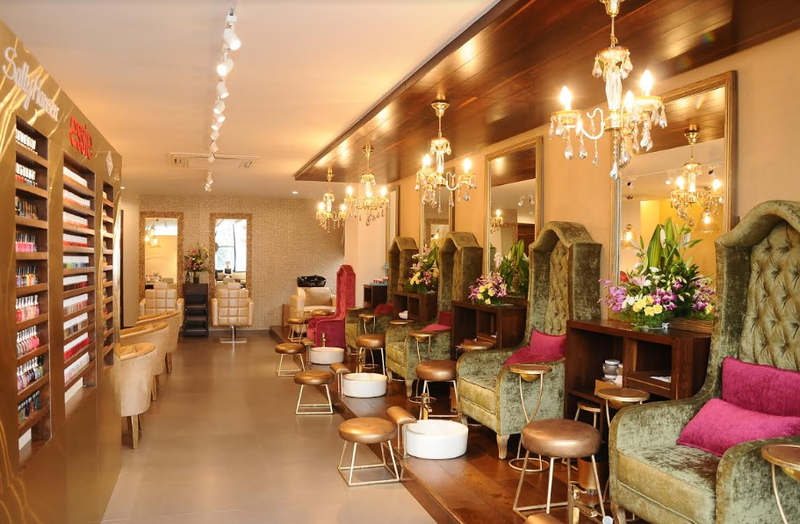 Polished Nail Studio is an exclusive space dedicated for hands and feet care. “It is a perfect urban escape and not just a regular place to get standard manicures and pedicures. 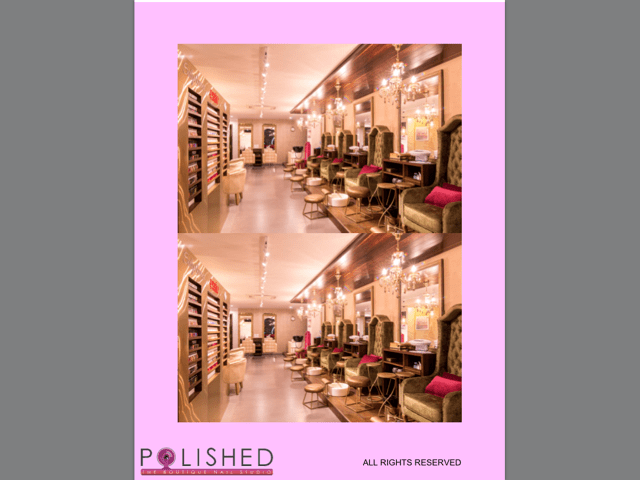 Polished has special line of services and internationally acclaimed toxic-free products inclusive of regular polish and gel polish colours, fresh from the catwalk; nail enhancements and extensions, all income passé spa treatments, reflexology and bespoke nail art,” says Neela. The interiors of this space are done up in tones of gold with a dash of rich pink which gives it a nice cosy feel. There are rows of nail paints in all shades from Sally Hansen, Essie and Bio Sculpture Gel arranged all over the place. The best part is that all products are free of the toxic trio (dibutyl phthalate, toluene and formaldehyde) and all products and treatments are free of skin irritations and allergic reactions. Since I had only an hour, I was recommended the Essential Nails treatment that includes a regular mani/pedi treatment. My therapists Tom and Chon started with my hands and feet respectively. The first thing they did was to apply an anti fungal to cleanse my hands and feet that helps protect my therapist and my hands and feet. Post this, an acetone free nail remover is applied to take off any nail polish on the nails. The therapist then checks the length of the nails you need and accordingly cuts and files the nails to your requirement. Then the cuticle remover is applied on the inner side of the nails and the hands and feet are soaked in warm water. Post a second round of anti fungal spray, the cuticles are then pushed back slightly (not too much as it can increase nail dryness) and extra cuticles are cut. A little brush is then used to remove any particles from the nail and then the nails are buffed. For the pedicure the heels are also brushed to remove off all the dry skin. After this the hands are cleaned with warm water and dried completely and a massage is given which relaxes the hands and feet completely. The nails are again cleaned with remover to ensure that any traces of moisturizer or moisture are removed. You then get to choose your nail shade from the huge number of options and after a base coat there are two coats of nail paint, nail art if any and a top coat. A quick dry under a fan and cuticle oil to lock the moisture leave my hands looking quite glamorous. If you have time, try the more luxurious Spa Mani Pedi. This apart they have Gel Nail Enhancements / Extensions ranging from Rs. 2800 to Rs. 4400 and reflexology apart from Nail Art. “Polished’s signature treatments are the gel extensions and gel polishes. It is chip-free gel overlay salon treatment that lasts for two to three weeks. This damage-free, nourishing treatment protects and enhances natural nails and is available in over gel nail colours. The overall time for the gel process is about 2 hours and the cost ranges from Rs. 2800 to Rs. 4400,” says Neela. The ‘Little Miss Polished’ is a new service for kids and nail paints are free of chemicals and washable. This is certainly the place to head to if you wish to pamper your hands and feet. Highly recommended – go for it! Previous Previous post: How Women Must Choose Bank Accounts?